Scholarship Committee Chair, Rebecca Yager and Exalted Ruler, Lance Wright are presenting a $5,000 check to Acting President, Derek Hadlock to establish a Needs-Based Scholarship program. Students that are close to acquiring their "Certification" for their trade but are having difficulty with the financial requirements will be able to apply for these funds. 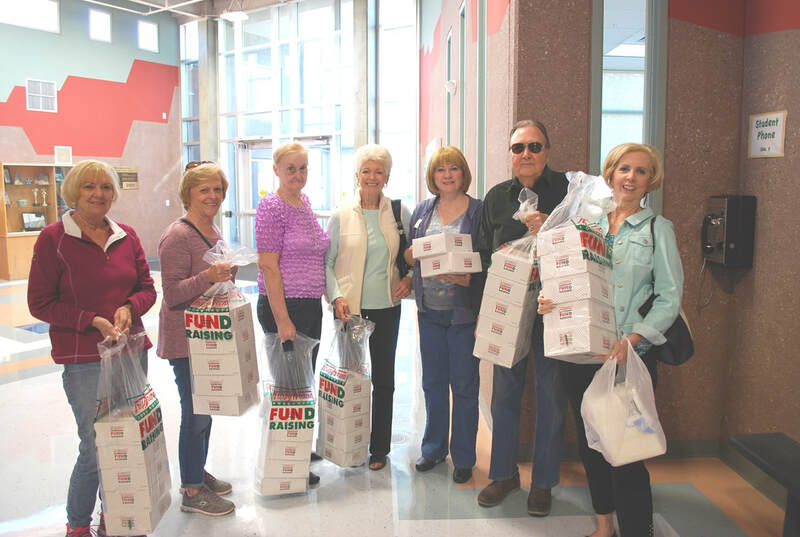 St. George "Dixie" Elks and Ladies of the Elks annually support the Krispy Kreme Xeroderma Pigmentosum Day. XP is a serious and rare disease that prevents otherwise healthy people from being exposed to UV rays. Consequently they must stay indoors. Our Lodge purchases donuts from Krispy Kreme to support their efforts on research and aid a local family with 2 XP children. We take the donuts, 32 dozen this year, to Millcreek High School and give them to the students and faculty!